Porcelain Furniture – the next big thing? At Kinorigo, we invest in research and development to ensure that the products we design meet the ever-changing needs of our clients. Taking inspiration from modern interior design trends and using our vast expertise working with porcelain, we've created a new and innovative collection of porcelain furniture to fit any location, from grand hotels to stunning homes. Porcelain furniture is a fairly new concept to the A&D industry but its growing fast as more and more people understand the benefits of designing with this medium. Porcelain is robust - it doesn't stain or scratch, it's heat resistant and it won't fade in the sunlight, providing you with a lifetime product that you can use in or outdoors plus it won't age like other furniture does. Our collection includes pieces to fit any style, space or budget, ranging from small coffee tables to huge centrepiece tables, all guaranteed to be a talking point. Designed with today's industrial and vintage styles front of mind, the collection includes trend-led designer details like copper accents and steel finishes. Our Hugo range will make a statement in your home or business in its deep grey granite effect finish, with copper legs as a contrasting accent. One of the best things we love about designing with porcelain is how versatile it is. 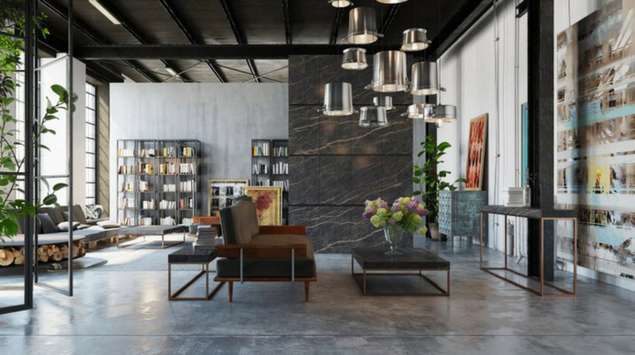 You can create a sleek and contemporary look by matching your walls, your flooring and your furniture, or you can mix it up with different finishes. Each piece in our collection has been thoughtfully designed and handcrafted to the highest quality, plus together, we can create entirely bespoke pieces to complement your design. If you love our new range as much as we do, please get in touch to discuss your next project.